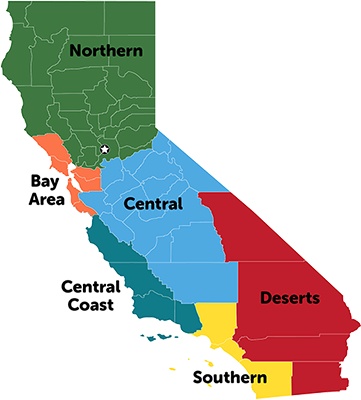 There is much talk, if not controversy, about how to split up California by region so that it can easily be described on a website such as this. Why the controversy you ask? Well, California, like all the states within the US, is part of a politically divided area that also has various geographic names; i.e. ; Shasta Cascade, Gold Country, Inland Empire, Deserts, High Sierra, etc. In our opinion, and quite honestly, these names serve no purpose to the modern traveler. The remedy then is to find a way to divide the state into meaningful segments that are easy to recognize, describe, and access via the major roads of the state. This is where much of the debate comes from. Every "expert" has their own way of dissecting the state of California into pieces. Our way is pretty simple and it's a method we've followed this format within several states now. Ultimately we've divided the state in a manner that helps us group attractions together so that they are easily accessible along the major routes of the state. 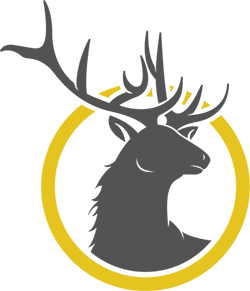 This allows us to use our mile by mile directions to easily and accurately describe each attraction within California here on our website. Guide of US breaks down California in to the following regions: Northern, Bay Area, Central, Central Coast, Southern, and Deserts.